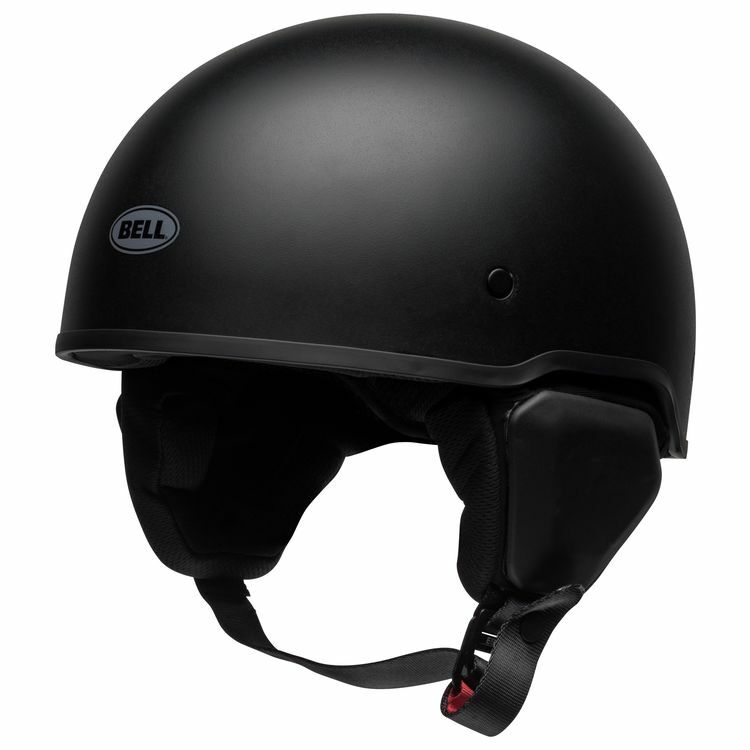 The Bell Recon Helmet pays homage to the lids worn by our Armed Forces brothers and sisters. Minimalist by choice, the Recon has removable Peltor ear covers with built-in speaker pockets and convenient wire routing. Slap on the included optional patch and show your true colors. Bought this as soon as it came out and I’ve put about 1000 miles on it since. This helmet is a dream! I’ve owned 5 half helmets with my two previous favorites also being Bells so I have a good opinion of their products but this one is even better. The finish is a nice textured black, feels very durable and premium quality. The liner is very nice and removable, a bonus as many half helmets don’t do this. The shape is an intermediate oval and runs true to size, I wear a medium and it feels like it was made specifically for me. Also there is zero lift, and I’ve worn it at triple digits. My main interest in this model was the war covers and they are so comfortable! They muffle a bit of the loud wind noise and keep my ears comfortable at lower temperatures. Also if you wanna run comms they make it so easy to install and look sharp. Overall I highly recommend this helmet, it’s by far my favorite. Also it includes two nice American flag patches you can stick on if you’re into that. Is the goggle strap holder removable?